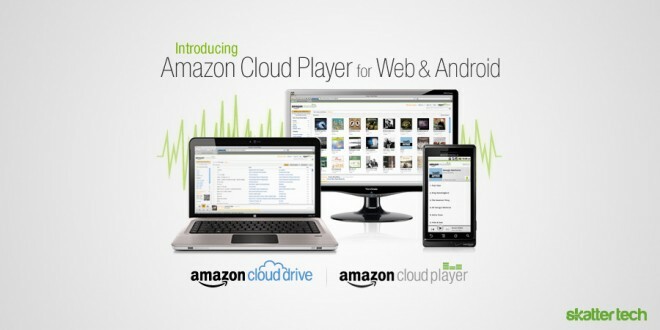 Last week, Amazon announced the Cloud Drive which offers 5 GB of free web-based storage. This lets anyone with an Amazon account upload documents, photos, videos, or just about anything else to their servers for remote access. While it is a great way to back up important files without spending a dime, Amazon also has their eyes set on something else: music. 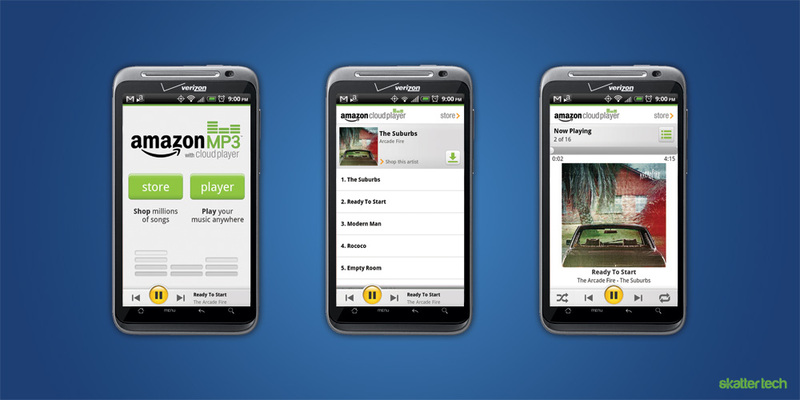 In addition to the included storage space for music you already own, Amazon includes access to any purchased Amazon MP3 content through the web interface. If you need more space, Amazon offers upgrades to 50 GB for $50 a year, 100 GB for $100 a year, 500 GB for $500 a year, and up to 1 TB for $1,000 a year. Keep in mind, this storage is not just for music, you can store anything in their cloud. As a temporary promotion, you get a free upgrade to $20 per year 20 GB plan if you purchase an album. The Amazon MP3 app that comes bundled on most Android smart phones just got a major refresh. In addition to letting you browse and buy music, you can now stream the music on your Cloud Drive to handheld from just about anywhere. I had a chance to give this a test run and it actually works impressive well on WiFi, 4G, and 3G networks. There is also a web-based interface for music playback, but there are no apps for iOS, BlackBerry, or Windows Phone 7. It is especially a great feature for those who want a consolidated library across multiple devices or for those running short on local storage space. Unfortunately, it also comes with an indirect downside. Since the majority of cellular carriers including AT&T and Verizon Wireless cap monthly data usage, it is not the best option for those who continuously run close to their limits. The Cloud Player lets users download individual songs or full albums from the Cloud Drive, but there is no way to upload files from a mobile device just yet. This could come in handy for those looking to free up space on their device while on the go without having to permanently delete something. While Amazon’s new solution is a great idea, it really is not as effective as existing competition when it comes cloud-based file management. It is actually quite primitive to be honest. Dropbox is probably the pioneer with a web-based management interface, desktop clients for all the major operating systems, and mobile clients for just about every smart phone OS. For those who want even more features and control, SugarSync is another great option. Also, do not forget that Microsoft offers 25 GB of free storage on SkyDrive or that Box.net is another viable cloud-based storage solution. However, here’s the thing. 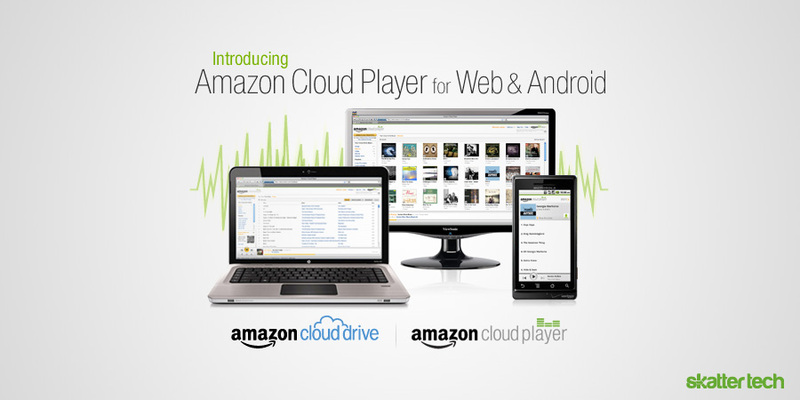 Amazon’s Cloud Drive does not stand much of a chance in its current form, but the Cloud Player makes all the difference. Their Android app and web browser player specifically focuses on handling music with filtering-based organization for albums, artists, playlists, and songs not to mention even including album artwork. While other services do allow music playback, they lack a decent media player interface to browse through a library. Amazon also makes it easy to upload files from any browser without additional software. The real competitor getting crushed by Amazon is mSpot. The company, which has been around for a few years, does exactly the same thing. In fact, it actually does much more. mSpot offers 5 GB of free cloud-based music storage, apps for Android and iOS with offline mode, clients for Macintosh and Windows, and access from any browser. Last year at I/O 2010, Google demoed an interesting technology acquired after purchasing Simplify Media which would let users remotely access the media library on their computer from an Android smart phone. Unfortunately, there are no new developments nearly a year later. Even Apple is reading a nearly half-million square foot data center in North Carolina which is likely digital locker for streaming multimedia to any iOS device. Amazon’s launch is just a start and I truly hope that others have even better solutions in the works. I was at least hoping for better pricing considering that the company’s own Simple Storage Service (S3) is significantly cheaper in comparison. I would have liked to see paying Amazon Prime customers, who already have access to free on-demand video content, get additional storage space at the least. Not sure what others think about the cloud, but as for me it has been awesome! After having been told that no personal files could be stored on my work computer, I was forced to find other means to listen to music including internet radio sites. Unfortunately those sites had a tendancy to play many songs that I simply didn’t care for and I found myself having to change stations quite often. Now that I have the cloud player, I can once again listen to what I want to and make custom playlists to suit my mood. Thanks again Amazon!! The cloud was great in the office for two days. Then my company of 60,000 employees locked out Amazon.com. No more daytime shopping for us. A downside Amazon probably did not consider. Cloud storage is not new. However, I do think Amazon will increase it’s business with this free service. That is, until the likes of AT&T, Verizon, Comcast and Time Warner decide to really go with metered billing. Those free clouds will then become expensive. As to music, why buy when you can just log on and listen. There are several online free services but Pandora is my favorite. I am using Subsonic to stream from my home PC to my mobile devices (iPad and android phone). The mobile players are nice as they even “cache” the recently played songs (you can set a cache size limit). So that you end-up streaming from your home PC only when you browse new stuff you haven’t played in awhile. Since I have about 20 Gigs of my own music ripped or purchased in MP3, I set a cache of about 2-4 Gb on my mobile devices… And when you are up for, you know, THAT song. It is there, right at your fingertips. This way, I don’t even have to install that damn iTunes nowhere. I still don’t see the draw compared to grooveshark…. Services such as Last.FM, Grooveshark, and Pandora are quite different. The ones discussed in this article are services to upload your existing music library to the cloud for personal access from anywhere with a network connection.